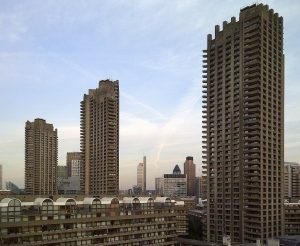 There is a big debate going on about the future of the Barbican residential committee, which is the board responsible for the running of the City's largest estate. A very happy autumn to all of you – I’ll begin with an update from the latest Barbican Association General Council (BAGC) meeting on 20 September. 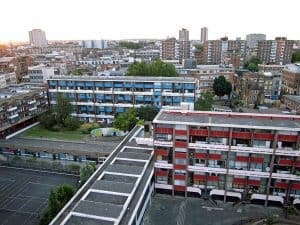 There is a big debate going on about the future of the Barbican residential committee (BRC), which is the board responsible for the running of the estate. It is a distinct group of the City of London comprising only elected aldermen and common councilmen. To put it simply, the worry is that there may be conflicts of interest because some committee members are residents themselves – although there are some controls as to who can stand and vote for what issue if there is a conflict. The options being debated include (i) maintaining the status quo; (ii) disbanding the Barbican residential committee completely and transferring its responsibilities to the community and children’s services committee; (iii) disbanding the committee completely and transferring its responsibilities to the property investment board; (iv) reconfiguring the Barbican residential committee; and (v) establishing a new, non ward-based housing committee. The upshot at the moment is that most people want to retain the status quo, but there is no resolution yet. Personally, I prefer the status quo; as one of the previous meetings on this pointed out, there is no doubt that the current arrangements are lawful, and I trust the committee members to be sensible enough to organise themselves to avoid any worrisome conflicts of interest. If you have any strong feelings, then contact your BA house rep for updates and to make your voice heard. Now, on to the zen-like peace-inducing fountains. There has been some discussion over the optimum hours for the fountains (to be on) because they provide a white noise that diminishes the effect of sounds from people on the lakeside and in the Barbican Centre restaurants. The Barbican Centre has asked what we would like – which is very decent of them. They are currently being switched off earlier than is the norm, and at the BAGC meeting it was agreed to request that the timings are restored to what was agreed originally. So, sooner or later, they should be stopping at about 8pm (if memory serves). One big alert from the BAGC was the increasing problem of noise, and the BA wants to encourage all residents to contact the environmental health office (which is on duty 24/7) whenever noise is a problem. This excludes rail noise, which you all know is being handled in a separate persuasion war. From January 2019, the environmental health office will have additional funds from developers to improve enforcement on building sites, so let’s empower them. I know for a fact that the environmental health officer on duty does jump for us and take action if at all possible, and if we don’t make any complaints then we’re at risk of the noise problems just getting worse because no-one makes an issue of them. After the Transport for London (TfL) rail replacement works a few weekends ago, some residents have reported a major improvement on the Tube rumble front. Unfortunately, there has been absolutely no improvement at all for those poor residents in Brandon Mews and so the effort continues to lobby TfL by the BA and councillors. Thanks must go to Sue Cox, who has been standing in for our BA planning monitor Helen Kay, and who picked up on a new application on the way for a much taller building on the site of Pret A Manger on Long Lane. The company acting for the proposed developers of One Long Lane say that the application for the proposed demolition and redevelopment of the site would be submitted “in the forthcoming weeks”. They have offered a meeting for any interested parties to revisit and review the development plans and a date is being arranged. Given the proposed increase in height, there is clearly a potential impact on light for some residents in Lauderdale Tower, and if there is anyone else who would be interested in attending this meeting then please contact your house rep for more details. As one of our house reps noted, it can be expected that there will be further developments over time on Long Lane as pedestrian traffic increases due to the proposed new auditorium and Elizabeth line. Helen Hudson has lived in Defoe House on and off since the 1970s, and keeps us up to date on resident news and committees. Cover image by Riodamascus (Creative Commons).